ProMat 2015 is the leading trade show of material handling, supply chain and logistics solutions in North America. The show is designed to provide lift solutions and information by exhibiting products and services from leading material handling and logistics providers. This year’s show will be hosted at McCormick Place in Chicago, Illinois, and cover more than 300,000 square feet of exhibit space. ProMat 2015 boasts more than 800 exhibitors displaying their products, and attendees will have the opportunity to experience the best solutions the industry has to offer and talk with leading providers face-to-face. To make it easier for attendees to find the solutions they need, the ProMat 2015 show floor is divided into three sections: Manufacturing and assembly solutions, fulfillment and delivery solutions, and information technology (IT) solutions. The tradeshow will be held from March 23rd–March 26th, and there is no cost to attend. In addition, attendees at ProMat 2015 will also have free access to Automate 2015—a leading event for robotics, machine vision, and motion-control automation—in concurrence with the ProMat tradeshow at McCormick Place. According to representatives at ProMat, Attending both shows gives companies a broad view of the supply chain industry and a glimpse into the future of supply chain automation. 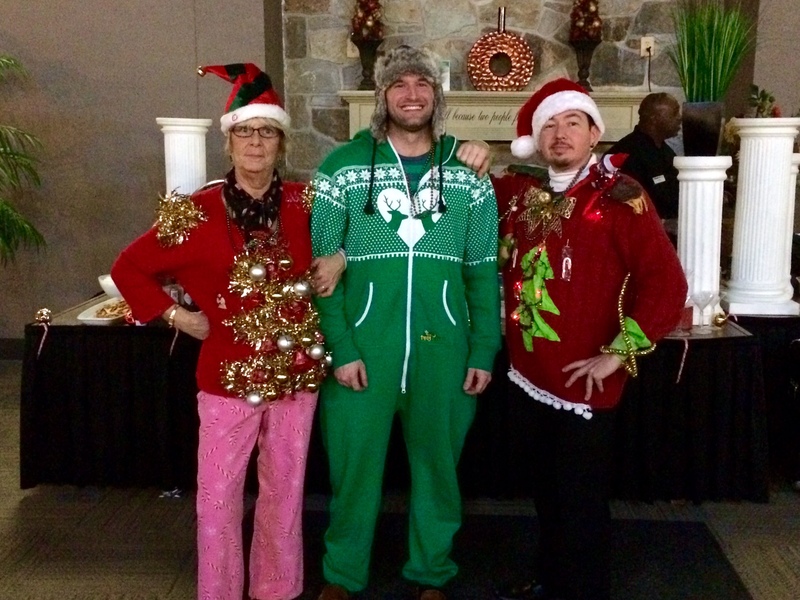 This year, Spanco hosted its Holiday party at the Holiday Inn in Morgantown, Pennsylvania. Employees from Spanco, Rigid Lifelines, and Lug-All were in attendance, and the celebration was full of fun and festivities. In addition to a variety of appetizers, the Holiday Inn also prepared cheese and vegetable platters, dessert shooters, and best of all—a one-of-a-kind mashed potato bar, which was a big hit among almost every one in attendance. To spice it up a little bit, we decided to host our first ugly sweater contest. Contestants were encouraged to make, buy, or alter a holiday sweater and wear it to the party. A judge from each company—Rigid Lifelines, Spanco, and Lug-All—was nominated, and after examining each contestant, they were tasked with the job of choosing a winner. This year’s first place winner was Albert Weaver, with Terri Larkin following closely behind in second place. A regional public transit service in Toronto, Canada that provides provisional and municipal trains to the general public has been expanding its services for more than 40 years. As the regional public transit service for the Greater Toronto and Hamilton Area, routes are extending to communities across the Greater Golden Horseshoe. This particular regional public transit service now carries 65 million passengers a year. Since May 1967, the transit’s evolution has gone from a single line along the shoreline of Lake Ontario to an extensive network of trains and bus routes. The transit estimates that since its services began, more than a billion riders have used their services. 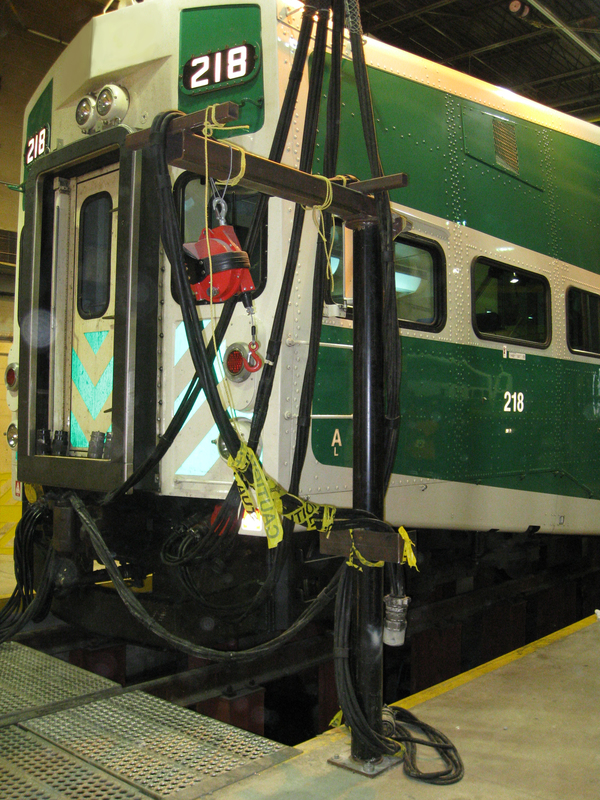 As the transit continues to expand to cover downtown Toronto and other urban areas, it’s manufacturing and maintenance facilities must also expand to make future growth possible. Overall, deflection is literally defined as “deviation from an allotted course”. It can mean that something is deviated by turning aside or by coming off course. For overhead cranes, this definition translates to the relative vertical or horizontal displacement of a member or part of an overhead crane. So how does that impact the design of the crane, and how is the vertical and horizontal deflection calculated? And, how do organizational specifications differ from crane to crane and from association to association? Let us explain. It’s something that a lot of companies overlook, but it’s more important than you may realize. A properly aligned crane is imperative to meet the performance requirements outlined for the material handling industry, and poor alignment can cause a chain reaction, ultimately resulting in unnecessary wear-and-tear. It’s the end user’s responsibility to ensure that crane tolerances are within the requirements outlined by CMAA. There are several factors that are essential to ensure your runway’s proper alignment: elevation levels, spans, straightness, and the overall condition of the runways.